Full Metal Texas, a SXSW party dedicated to all things metal, will go down March 17 at Emo’s in downtown Austin from noon-6:00 pm. Featured acts include All Pigs Must Die, Hull and Trap Them. 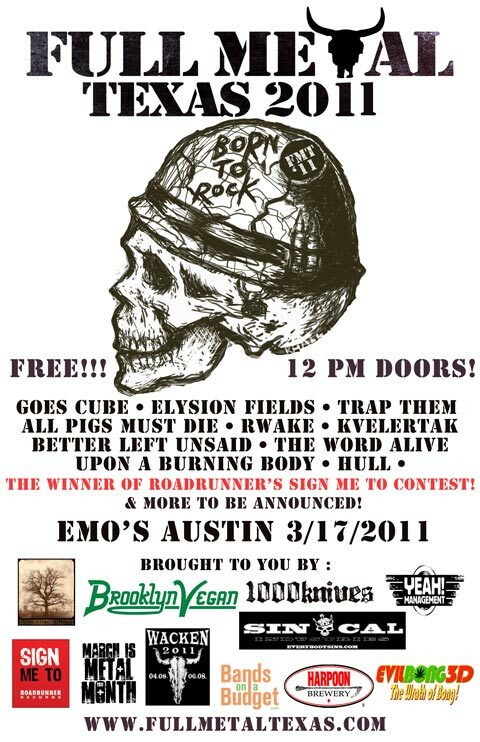 Also, one lucky unsigned band will get to perform a set via Roadrunner Record’s “Sign Me To” contest.